Keeping your liver supported and strong is one of the most important steps you can take to maintain overall wellness. This critically hard-working organ, which is located in the right abdominal area, has been called the “laboratory of the body,” and for many good reasons. Unfortunately, more and more people are developing non-alcoholic fatty liver disease and don’t even know it. Filtering all food and liquids, assimilating and distributing nutrients, and removing toxins and waste products. 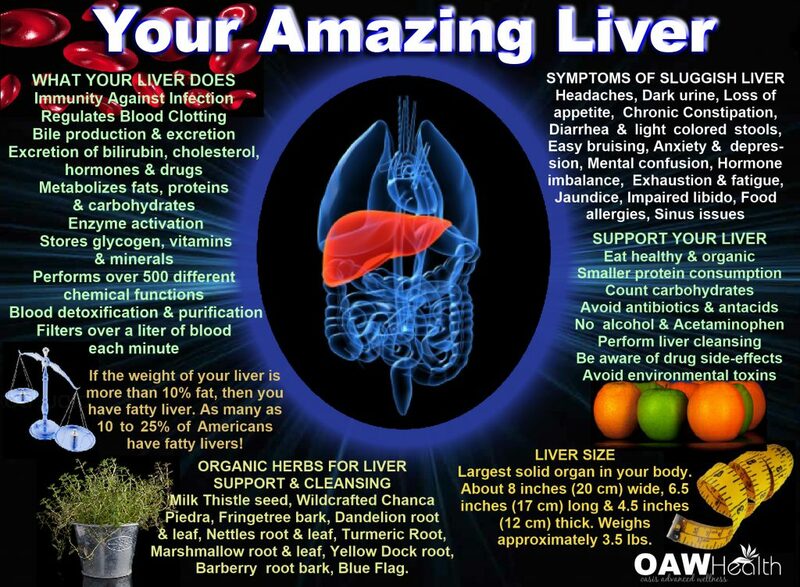 The liver is actively involved in keeping your body free from disease of all types. It is also true that a poorly operating liver can contribute to a myriad of illnesses and debilitating health conditions. There are many types of liver disease and dysfunction, but the most common and hazardous is called fatty liver. Fatty liver is also known as Non-Alcoholic Steatorrhoeic Hepatitis (NASH) or Non-Alcoholic Fatty Liver Disease (NAFLD). 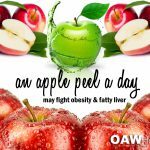 The technical description of fatty liver is quite complex, but basically fatty liver disease is just as it sounds – too much fat in and around the liver. In fact, healthy liver tissue can be displaced by unhealthy fats, and vacant spaces within the liver are abnormally occupied by fat. In addition, those with fatty liver disease will often accumulate excess fat surrounding the organ itself, contributing to an overabundance of body fat in the abdominal area. Nonalcoholic fatty liver disease affects as many as one in five Americans, according to the American Liver Association. And for those with diabetes, says VA physician-researcher Kenneth Cusi, MD, the rate may be as high as four in five. More than 80 million Americans have this deadly disease, and many don’t even know it. Nonalcoholic fatty liver disease affects an estimated 80 million to 100 million Americans. Despite risks, there are no official recommendations for routine screening. They defined NAFLD as the presence of hepatic steatosis on ultrasound in the absence of elevated alcohol consumption. A healthy liver is typically reddish in color because the blood is meant to flow through channels in the interior of the liver composed of layers of liver cells. This is the way the liver is meant to function – as a very efficient filter for absorbing nutrients and ridding the body of toxins. A fatty liver becomes clogged with excess fat cells, seriously hampering the liver’s ability to do its many vital jobs. A fatty liver loses its red color and becomes heavier, enlarged, and greasy yellow in appearance. These abnormalities can often be discovered by an ultrasound scan or via a liver biopsy. Because nonalcoholic fatty liver disease causes no symptoms in most cases, it frequently comes to medical attention when tests done for other reasons point to a liver concern. This can happen if your liver looks unusual on ultrasound or if you have an abnormal liver enzyme test. Plain ultrasound, which is often the initial test when liver disease is suspected. Computerized tomography (CT) scanning or magnetic resonance imaging (MRI) of the abdomen. These techniques lack the ability to distinguish nonalcoholic steatohepatitis from nonalcoholic fatty liver disease, but still may be used. Transient elastography, an enhanced form of ultrasound that measures the stiffness of your liver. Liver stiffness indicates fibrosis or scarring. Magnetic resonance elastography, which combines magnetic resonance imaging with patterns formed by sound waves bouncing off the liver to create a visual map showing gradients of stiffness throughout the liver reflecting fibrosis or scarring. An unhealthy lifestyle of poor diet (high in animal fat. preservatives, and toxic chemicals), lack of exercise, and poor hydration. Obesity. This is probably the biggest factor in fatty liver, especially for people over 30. Medications. Many are very hard on the liver including pain drugs (NSAIDs and narcotics), corticosteroids, certain antibiotics (especially tetracycline), and others. Some causes are associated with the drug tamoxifen (used to prevent breast cancer recurrence). Exposure to toxic cleaning products, personal care products, water, food, the air, etc. May also occur in people affected by hypothyroidism (underactive thyroid gland), high blood cholesterol and polycystic ovarian syndrome. 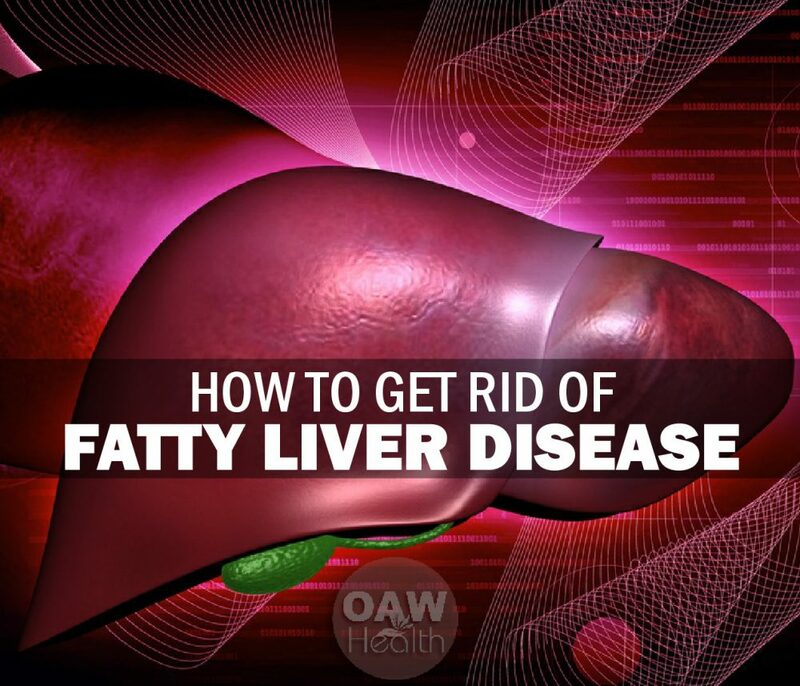 Simply put, the harder your force your liver to work because of exposure to hazardous substances and a high-fat, nutrient-poor diet, the greater your risk for fatty liver as well as other types of liver dysfunction. What Are the Symptoms and Complications of Fatty Liver? Difficulty losing weight. If you are having a difficult time taking off pounds, it may be because your fatty liver has reverted to storing fat instead of metabolizing it. A weakened immune system. This can open one up to a number of autoimmune and other harmful conditions. Chronic fatigue. When the liver is not able to rid the body of excess fat and other waste products, one will likely feel sluggish most of the time. Greater risk for diabetes. Fatty liver can result in insulin resistance, a key factor in diabetes. A recent study estimated that about 70% of individuals diagnosed with type-2 diabetes may also have fatty liver disease. Syndrome X. Also known as Metabolic Syndrome X, this condition can also be a complication of fatty liver. Syndrome X involves a number of factors including abnormally high blood pressure and/or insulin levels, too much cholesterol, and excess body fat around the waistline. Metabolic Syndrome increases risk for diabetes, stroke, and cardiac disease. How Can Fatty Liver Be Managed or Prevented? Obviously, prevention is always the best medicine. Fatty liver disease is definitely a “lifestyle” disease (in most cases) that can be prevented and even eliminated by making healthy choices. These include the following. It’s important to remember that the origins of the NAFLD are dependent on a number causes that include high blood sugar levels, leaky gut, dysbiosis, and excess cholesterol production. Making healthy dietary choices that stop these insults to the body are therefore the focus of NAFLD prevention. Avoiding refined carbohydrates and foods high in sugar can not only keep blood glucose levels in a healthy range, but can also serve to deny harmful intestinal bacteria of the fuel they need to overpopulate, cause leaky gut, and wreak further havoc in the body. A healthy diet composed mainly of nutrient-rich foods such as fresh, organic fruits and vegetables, essential fatty acids and plant-based protein sources is a good beginning. I highly recommend the fresh juice Liver Detox 3-4 times weekly. A well-hydrated liver is a happy liver that can perform its many duties optimally. N-Acetylcysteine is a supplement that increases glutathione levels in hepatocytes, which in turn constrains hepatocyte production of reactive oxygen species and, thus, protects against oxidative stress in the liver. In one study, 11 patients with nonalcoholic steatohepatitis were treated with N-acetylcysteine (1 g/day) for 3 months. A significant improvement in aminotransferase levels was found at the end of treatment. Found in every cell in the body, phosphatidylcholine is very important when it comes to the health of gallbladder and the liver. Low phosphatidylcholine levels can lead not only to fatty liver, but also to muscle damage, inadequate bile production, and gallstones. 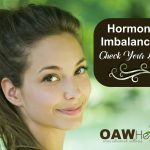 Even with the importance of this nutrient, choline deficiency is extremely common. It’s estimated that only 8% of Americans consume a diet that contains adequate amounts of choline. Vegetarians at particular risk of deficiency. When it comes to NAFLD, choline deficiency is especially harmful, as it’s significantly associated with increased fibrosis according to one study performed in postmenopausal women with NAFLD. Phosphatidylcholine is also important for digestive health, as it makes up over 90% of the phospholipids in the protective mucus lining the gut wall, thereby protecting against leaky gut and its complications. Treatment with PC has also been shown to control the migration of endotoxins across the gut lining which lowers the risk of inflammation and further damage to the intestinal epithelium. Liver supporting organic/wild-crafted herbs such as Milk Thistle seed, Wildcrafted Chanca Piedra (helps with liver stones), Fringetree bark, Dandelion root, Organic Nettles root and Organic Turmeric Root. There are several reasons to use the milk thistle seed rather than silymarin extract. Using the whole herb is recommended as often it will have a more balanced effect. The milk thistle extract silymarin, for instance, has proven useful in treating liver disease. 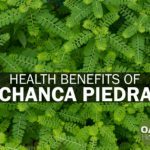 However, the main drawback to using silymarin is that, if a healthcare professional prescribes other drugs, such as steroids, silymarin can interfere with the liver’s ability to detoxify them. Milk thistle seed has the same healing effect on the liver without interfering with the organ’s ability to detoxify drugs or environmental chemicals. It also has a side benefit of normalizing blood lipids as the liver heals. In September 2015, researchers reported that resveratrol has beneficial effects in individuals with nonalcoholic fatty liver disease (NAFLD). Resveratrol supplementation ameliorated the severity of hepatic steatosis and lowered the liver enzyme alanine aminotransferase (ALT) compared to placebo. Both the tocopherol and tocotrienol forms of vitamin E have been shown to reduce the accumulation of triglycerides in the liver and lower markers of liver inflammation. By regulating fatty acid synthesis, vitamin E may not only reduce the amount of fat stored in the liver, but also quench inflammation and oxidative stress. The majority of research pertaining to vitamin E focuses on a form known as tocopherols, which is commonly found in nature. Another form of vitamin E known as tocotrienols have even greater antioxidant potential than the tocopherol form, and also may improve NAFLD and high cholesterol levels. At a dosage of 200 mg twice daily for one year, tocotrienols significantly improved hepatic echogenicity (how dense the liver appears on ultrasound, a marker of the disease) and increased the rate of disease remission compared to placebo. Tocotrienols have also been shown to improve total and LDL cholesterol by 15 to 20%, and triglyceride levels by almost 30%. A study of patients with NAFLD who also had elevated liver enzymes were given 300 mg of tocotrienols taken twice daily for 12 weeks resulted in not only a significant decrease in both AST and ALT levels, but also reduced markers of inflammation (high sensitivity C-reactive protein, or hs-CRP) and oxidative stress (malondialdehyde). Fatty liver index scores were also improved as compared to placebo. A regular program of physical exercise. Exercise helps the liver to purify as well as helps the body to effectively move toxins and wastes out of the body. I highly recommend rebounding which helps with lymphatic drainage and allows one to effectively lose weight. 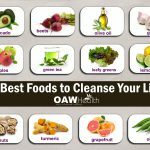 Choose an effective and non-toxic liver cleanse product or protocol that will effectively flush, purify and support your liver so that it can operate at peak efficiency. There are many herbs that are great for the liver, but they should always be either be organic or wild-crafted. Even if you do your best to live a clean life, performing a liver cleanse 2-3 times yearly is highly recommended, to “head off trouble at the pass,” so to speak. The incidence of liver cancer in several countries has doubled in the last 25 years, and the rise in cases is overwhelming specialists. Furthermore, researchers predict an additional 40% increase in liver cancer cases by the year 2035. Lead researcher Dr. Morris Sherman writes, “The prospects for surviving liver cancer are bleak, so our only hope is to intervene early and prevent the cancer happening in the first place or to find early curable cancers.” University Health Network, June 2018. It’s becoming more and more important to pay attention to your liver and make sure that it is healthy and supported. Be proactive and practice preventative medicine. It’s much easier to work at preventing disease rather than having to work at curing disease. Be well. 1. Polyzos SA, Kountouras J, Zavos C, Tsiaousi E. The role of adiponectin in the pathogenesis and treatment of nonalcoholic fatty liver disease. Diabetes Obes Metab. 2010 May;12(5):365-83. 2. Schuppan D, Gorrell MD, Klein T, Mark M, Afdhal NH. The challenge of developing novel pharmacological therapies for nonalcoholic steatohepatitis. Liver Int. 2010 Jul;30(6):795-808. 3. Younossi ZM. Review article: current management of nonalcoholic fatty liver disease and nonalcoholic steatohepatitis. Aliment Pharmacol Ther. 2008 Jul;28(1):2-12. 4. 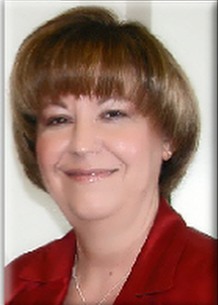 Kaser S, Ebenbichler CF, Tilg H. Pharmacological and non-pharmacological treatment of nonalcoholic fatty liver disease. Int J Clin Pract. 2010 Jun;64(7):968-83. 5. Bondini S, Younossi ZM. Nonalcoholic fatty liver disease and hepatitis C infection. Minerva Gastroenterol Dietol. 2006 Jun;52(2):135-43. 6. Puri P, Wiest MM, Cheung O, et al. The plasma lipidomic signature of nonalcoholic steatohepatitis. Hepatology. 2009 Dec;50(6):1827-38. 7. Lirussi F, Azzalini L, Orando S, Orlando R, Angelico F. Antioxidant supplements for nonalcoholic fatty liver disease and/or steatohepatitis. Cochrane Database Syst Rev. 2007 Jan 24(1):CD004996. 8. Raszeja-Wyszomirska J, Lawniczak M, Marlicz W, Miezynska-Kurtycz J, Milkiewicz P. Nonalcoholic fatty liver disease–new view. Pol Merkur Lekarski. 2008 Jun;24(144):568-71. 9. Musso G, Gambino R, Cassader M. Nonalcoholic fatty liver disease from pathogenesis to management: an update. Obes Rev. 2010 Jun;11(6):430-45. 10. Mark N, de Alwis W, Day CP. Current and future therapeutic strategies in NAFLD. Curr Pharm Des. 2010 Jun;16(17):1958-62. 11. Schaffer JE. Lipotoxicity: when tissues overeat. Curr Opin Lipidol. 2003 Jun;14(3):281-7. 12. Perez-Martinez P, Perez-Jimenez F, Lopez-Miranda J. n-3 PUFA and lipotoxicity. Biochim Biophys Acta. 2010 Mar;1801(3):362-6. 13. Chavez-Tapia NC, Tellez-Avila FI, Barrientos-Gutierrez T, Mendez-Sanchez N, Lizardi-Cervera J, Uribe M. Bariatric surgery for nonalcoholic steatohepatitis in obese patients. Cochrane Database Syst Rev. 2010 Jan 20(1):CD007340. 14. Sanyal AJ, Mofrad PS, Contos MJ, et al. A pilot study of vitamin E versus vitamin E and pioglitazone for the treatment of nonalcoholic steatohepatitis. Clin Gastroenterol Hepatol. 2004 Dec;2(12):1107-15. 15. Chalasani NP, Sanyal AJ, Kowdley KV, et al. Pioglitazone versus vitamin E versus placebo for the treatment of non-diabetic patients with nonalcoholic steatohepatitis: PIVENS trial design. Contemp Clin Trials. 2009 Jan;30(1):88-96. 16. Sanyal AJ, Chalasani N, Kowdley KV, et al. Pioglitazone, vitamin E, or placebo for nonalcoholic steatohepatitis. N Engl J Med. 2010 May 6;362(18):1675-85. 17. Medina J, Moreno-Otero R. Pathophysiological basis for antioxidant therapy in chronic liver disease. Drugs. 2005;65(17):2445-61. 18. Bell H, Bjorneboe A, Eidsvoll B, et al. Reduced concentration of hepatic alpha-tocopherol in patients with alcoholic liver cirrhosis. Alcohol Alcohol. 1992 Jan;27(1):39-46. 19. Bahcecioglu IH, Yalniz M, Ilhan N, Ataseven H, Ozercan IH. Levels of serum vitamin A, alpha-tocopherol and malondialdehyde in patients with nonalcoholic steatohepatitis: relationship with histopathologic severity. Int J Clin Pract. 2005 Mar;59(3):318-23. 20. Hasegawa T, Yoneda M, Nakamura K, Makino I, Terano A. Plasma transforming growth factor-beta1 level and efficacy of alpha-tocopherol in patients with nonalcoholic steatohepatitis: a pilot study. Aliment Pharmacol Ther. 2001 Oct;15(10):1667-72. 21. Bernal-Reyes R, Escudero RB. Treatment of nonalcoholic steatohepatitis (NASH). A comparative study of ursodeoxycholic acid and alpha-tocopherol. A preliminary report. Rev Gastroenterol Mex. 2002 Apr-Jun;67(2):70-5. 22. Trappoliere M, Federico A, Tuccillo C, et al. Effects of a new pharmacological complex (silybin + vitamin-E + phospholipids) on some markers of the metabolic syndrome and of liver fibrosis in patients with hepatic steatosis. Preliminary study. Minerva Gastroenterol Dietol. 2005 Jun;51(2):193-9. 23. Federico A, Trappoliere M, Tuccillo C, et al. A new silybin-vitamin E-phospholipid complex improves insulin resistance and liver damage in patients with nonalcoholic fatty liver disease: preliminary observations. Gut. 2006 Jun;55(6):901-2. 24. Yakaryilmaz F, Guliter S, Savas B, et al. Effects of vitamin E treatment on peroxisome proliferator-activated receptor-alpha expression and insulin resistance in patients with nonalcoholic steatohepatitis: results of a pilot study. Intern Med J. 2007 Apr;37(4):229-35. 25. Nan YM, Wu WJ, Fu N, et al. Antioxidants vitamin E and 1-aminobenzotriazole prevent experimental nonalcoholic steatohepatitis in mice. Scand J Gastroenterol. 2009;44(9):1121-31. 26. Raso GM, Esposito E, Iacono A, et al. Comparative therapeutic effects of metformin and vitamin E in a model of nonalcoholic steatohepatitis in the young rat. Eur J Pharmacol. 2009 Feb 14;604(1-3):125-31. 27. Pachikian BD, Neyrinck AM, Cani PD, et al. Hepatic steatosis in n-3 fatty acid depleted mice: focus on metabolic alterations related to tissue fatty acid composition. BMC Physiol. 2008;8:21. 28. Zelber-Sagi S, Nitzan-Kaluski D, Goldsmith R, et al. Long term nutritional intake and the risk for nonalcoholic fatty liver disease (NAFLD): a population based study. J Hepatol. 2007 Nov;47(5):711-7. 29. Cortez-Pinto H, Jesus L, Barros H, Lopes C, Moura MC, Camilo ME. How different is the dietary pattern in nonalcoholic steatohepatitis patients? Clin Nutr. 2006 Oct;25(5):816-23. 30. Martin de Santa Olalla L, Sanchez Muniz FJ, Vaquero MP. N-3 fatty acids in glucose metabolism and insulin sensitivity. Nutr Hosp. 2009 Mar-Apr;24(2):113-27. 31. Larter CZ, Yeh MM, Cheng J, et al. Activation of peroxisome proliferator-activated receptor alpha by dietary fish oil attenuates steatosis, but does not prevent experimental steatohepatitis because of hepatic lipoperoxide accumulation. J Gastroenterol Hepatol. 2008 Feb;23(2):267-75. 32. Ukropec J, Reseland JE, Gasperikova D, et al. The hypotriglyceridemic effect of dietary n-3 FA is associated with increased beta-oxidation and reduced leptin expression. Lipids. 2003 Oct;38(10):1023-9. 33. Capanni M, Calella F, Biagini MR, et al. Prolonged n-3 polyunsaturated fatty acid supplementation ameliorates hepatic steatosis in patients with nonalcoholic fatty liver disease: a pilot study. Aliment Pharmacol Ther. 2006 Apr 15;23(8):1143-51. 34. Hatzitolios A, Savopoulos C, Lazaraki G, et al. Efficacy of omega-3 fatty acids, atorvastatin and orlistat in nonalcoholic fatty liver disease with dyslipidemia. Indian J Gastroenterol. 2004 Jul-Aug;23(4):131-4. 35. Xin YN, Xuan SY, Zhang JH, Zheng MH, Guan HS. Omega-3 polyunsaturated fatty acids: a specific liver drug for nonalcoholic fatty liver disease (NAFLD). Med Hypotheses. 2008 Nov;71(5):820-1. 36. Uygun A, Kadayifci A, Isik AT, et al. Metformin in the treatment of patients with nonalcoholic steatohepatitis. Aliment Pharmacol Ther. 2004 Mar 1;19(5):537-44. 37. Idilman R, Mizrak D, Corapcioglu D, et al. Clinical trial: insulin-sensitizing agents may reduce consequences of insulin resistance in individuals with nonalcoholic steatohepatitis. Aliment Pharmacol Ther. 2008 Jul;28(2):200-8. 38. Hadden DR. Goat’s rue – French lilac – Italian fitch – Spanish sainfoin: gallega officinalis and metformin: the Edinburgh connection. J R Coll Physicians Edinb. 2005 Oct;35(3):258-60. 39. Rotella CM, Monami M, Mannucci E. Metformin beyond diabetes: new life for an old drug. Curr Diabetes Rev. 2006 Aug;2(3):307-15. 40. Magalotti D, Marchesini G, Ramilli S, Berzigotti A, Bianchi G, Zoli M. Splanchnic haemodynamics in nonalcoholic fatty liver disease: effect of a dietary/pharmacological treatment. A pilot study. Dig Liver Dis. 2004 Jun;36(6):406-11. 41. Nair S, Diehl AM, Wiseman M, Farr GH, Jr., Perrillo RP. Metformin in the treatment of nonalcoholic steatohepatitis: a pilot open label trial. Aliment Pharmacol Ther. 2004 Jul 1;20(1):23-8. 42. Schwimmer JB, Middleton MS, Deutsch R, Lavine JE. A phase 2 clinical trial of metformin as a treatment for non-diabetic paediatric nonalcoholic steatohepatitis. Aliment Pharmacol Ther. 2005 Apr 1;21(7):871-9. 43. Nadeau KJ, Ehlers LB, Zeitler PS, Love-Osborne K. Treatment of nonalcoholic fatty liver disease with metformin versus lifestyle intervention in insulin-resistant adolescents. Pediatr Diabetes. 2009 Feb;10(1):5-13. 44. de Oliveira CP, Stefano JT, de Siqueira ER, et al. Combination of N-acetylcysteine and metformin improves histological steatosis and fibrosis in patients with nonalcoholic steatohepatitis. Hepatol Res. 2008;38(2):159-65. 45. Kim DS, Jeong SK, Kim HR, Chae SW, Chae HJ. Metformin regulates palmitate-induced apoptosis and ER stress response in HepG2 liver cells. Immunopharmacol Immunotoxicol. 2010 Jun;32(2):251-7. 46. Kwon do Y, Jung YS, Kim SJ, Park HK, Park JH, Kim YC. Impaired sulfur-amino acid metabolism and oxidative stress in nonalcoholic fatty liver are alleviated by betaine supplementation in rats. J Nutr. 2009 Jan;139(1):63-8. 47. Caballero F, Fernandez A, Matias N, et al. Specific contribution of methionine and choline in nutritional nonalcoholic steatohepatitis: impact on mitochondrial S-adenosyl-L-methionine and glutathione. J Biol Chem. 2010 Jun 11;285(24):18528-36. 48. Oz HS, Im HJ, Chen TS, de Villiers WJ, McClain CJ. Glutathione-enhancing agents protect against steatohepatitis in a dietary model. J Biochem Mol Toxicol. 2006;20(1):39-47. 49. Vendemiale G, Altomare E, Trizio T, et al. Effects of oral S-adenosyl-L-methionine on hepatic glutathione in patients with liver disease. Scand J Gastroenterol. 1989 May;24(4):407-15. 50. Abdelmalek MF, Angulo P, Jorgensen RA, Sylvestre PB, Lindor KD. Betaine, a promising new agent for patients with nonalcoholic steatohepatitis: results of a pilot study. Am J Gastroenterol. 2001 Sep;96(9):2711-7. 51. Chang CY, Argo CK, Al-Osaimi AM, Caldwell SH. Therapy of NAFLD: antioxidants and cytoprotective agents. J Clin Gastroenterol. 2006 Mar;40 Suppl 1:S51-60. 52. Cave M, Deaciuc I, Mendez C, et al. Nonalcoholic fatty liver disease: predisposing factors and the role of nutrition. J Nutr Biochem. 2007 Mar;18(3):184-95. 53. Wortham M, He L, Gyamfi M, Copple BL, Wan YJ. The transition from fatty liver to NASH associates with SAMe depletion in db/db mice fed a methionine choline-deficient diet. Dig Dis Sci. 2008 Oct;53(10):2761-74. 54. Millea PJ. N-acetylcysteine: multiple clinical applications. Am Fam Physician. 2009 Aug 1;80(3):265-9. 55. Bajt ML, Knight TR, Lemasters JJ, Jaeschke H. Acetaminophen-induced oxidant stress and cell injury in cultured mouse hepatocytes: protection by N-acetyl cysteine. Toxicol Sci. 2004 Aug;80(2):343-9. 56. Mehta K, Van Thiel DH, Shah N, Mobarhan S. Nonalcoholic fatty liver disease: pathogenesis and the role of antioxidants. Nutr Rev. 2002 Sep;60(9):289-93. 57. de Oliveira CP, Simplicio FI, de Lima VM, et al. Oral administration of S-nitroso-N-acetylcysteine prevents the onset of non alcoholic fatty liver disease in rats. World J Gastroenterol. 2006 Mar 28;12(12):1905-11. 58. Baumgardner JN, Shankar K, Hennings L, Albano E, Badger TM, Ronis MJ. N-acetylcysteine attenuates progression of liver pathology in a rat model of nonalcoholic steatohepatitis. J Nutr. 2008 Oct;138(10):1872-9. 59. Uzun MA, Koksal N, Kadioglu H, et al. Effects of N-acetylcysteine on regeneration following partial hepatectomy in rats with nonalcoholic fatty liver disease. Surg Today. 2009;39(7):592-7. 60. Schrieber SJ, Wen Z, Vourvahis M, et al. The pharmacokinetics of silymarin is altered in patients with hepatitis C virus and nonalcoholic Fatty liver disease and correlates with plasma caspase-3/7 activity. Drug Metab Dispos. 2008 Sep;36(9):1909-16. 61. Feher J, Lengyel G. Silymarin in the treatment of chronic liver diseases: past and future. Orv Hetil. 2008 Dec 21;149(51):2413-8. 62. Loguercio C, Federico A, Trappoliere M, et al. The effect of a silybin-vitamin E-phospholipid complex on nonalcoholic fatty liver disease: a pilot study. Dig Dis Sci. 2007 Sep;52(9):2387-95. 63. Serviddio G, Bellanti F, Giudetti AM, et al. A silybin-phospholipid complex prevents mitochondrial dysfunction in a rodent model of nonalcoholic steatohepatitis. J Pharmacol Exp Ther. 2010 Mar;332(3):922-32. 64. Trappoliere M, Tuccillo C, Federico A, et al. The treatment of NAFLD. Eur Rev Med Pharmacol Sci. 2005 Sep-Oct;9(5):299-304. 65. Li Z, Agellon LB, Allen TM, et al. The ratio of phosphatidylcholine to phosphatidylethanolamine influences membrane integrity and steatohepatitis. Cell Metab. 2006 May;3(5):321-31. 66. Lieber CS. New concepts of the pathogenesis of alcoholic liver disease lead to novel treatments. Curr Gastroenterol Rep. 2004 Feb;6(1):60-5. 67. Ma X, Zhao J, Lieber CS. Polyenylphosphatidylcholine attenuates nonalcoholic hepatic fibrosis and accelerates its regression. J Hepatol. 1996 May;24(5):604-13. 68. Aleynik SI, Leo MA, Ma X, Aleynik MK, Lieber CS. Polyenylphosphatidylcholine prevents carbon tetrachloride-induced lipid peroxidation while it attenuates liver fibrosis. J Hepatol. 1997 Sep;27(3):554-61. 69. Lieber CS, Leo MA, Aleynik SI, Aleynik MK, DeCarli LM. Polyenylphosphatidylcholine decreases alcohol-induced oxidative stress in the baboon. Alcohol Clin Exp Res. 1997 Apr;21(2):375-9. 70. Navder KP, Baraona E, Leo MA, Lieber CS. Oxidation of LDL in baboons is increased by alcohol and attenuated by polyenylphosphatidylcholine. J Lipid Res. 1999 Jun;40(6):983-7. 71. Polichetti E, Janisson A, de la Porte PL, et al. Dietary polyenylphosphatidylcholine decreases cholesterolemia in hypercholesterolemic rabbits: role of the hepato-biliary axis. Life Sci. 2000 Oct 13;67(21):2563-76. 72. Brady LM, Fox ES, Fimmel CJ. Polyenylphosphatidylcholine inhibits PDGF-induced proliferation in rat hepatic stellate cells. Biochem Biophys Res Commun. 1998 Jul 9;248(1):174-9. 73. Aleynik SI, Lieber CS. Polyenylphosphatidylcholine corrects the alcohol-induced hepatic oxidative stress by restoring s-adenosylmethionine. Alcohol Alcohol. 2003 May-Jun;38(3):208-12. 74. Mi LJ, Mak KM, Lieber CS. Attenuation of alcohol-induced apoptosis of hepatocytes in rat livers by polyenylphosphatidylcholine (PPC). Alcohol Clin Exp Res. 2000 Feb;24(2):207-12. 75. Faghihzadeh F, et al. Br J Nutr. 2015;114:796-803. 77. More than 80 million Americans have this deadly disease, and many don’t even know it. 78. Magosso E, et al. Tocotrienols for normalization of hepatic echogenic response in nonalcoholic fatty liver: a randomized placebo-controlled clinical trial. Nutr J. 2013;12(1):166. 79. Muto C, et al. Gamma-tocotrienol reduces the triacylglycerol level in rat primary hepatocytes through regulation of fatty acid metabolism. J Clin Biochem Nutr. 2013;52(1):32-7. 80. Pervez MA, et al. Effects of delta-tocotrienol supplementation on liver enzymes, inflammation, oxidative stress and hepatic steatosis in patients with nonalcoholic fatty liver disease. Turk J Gastroenterol. 2018 Mar;29(2):170-76.